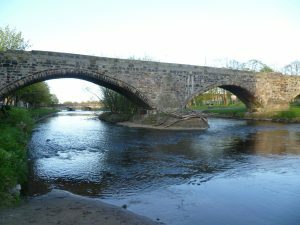 On September 10th 1547 the Battle of Pinkie Cleugh was fought on the banks of the River Esk near Musselburgh in Scotland. It was the last pitched battle between Scottish and English armies and took place during the wars of the Rough Wooing. The Scottish defeat was so severe that it became known as Black Saturday in Scotland. At the end of his reign, Henry VIII was keen to marry his young son, Edward to the baby Mary, Queen of Scots. Diplomatic efforts failed as the Scots preferred a French alliance, so Henry invaded Scotland to secure the young queen, sparking the conflict which became known as the Rough Wooing. When Henry died soon afterwards the war was continued by the Lord Protector, Edward Seymour, Duke of Somerset. Somerset was keen to pursue the policy of pushing Scotland into an alliance by marrying Mary to Edward and hoped to force an Anglican Reformation onto the Scottish church. In September 1547 Somerset led his army into Scotland, supported by a large fleet. He marched along the east coast of Scotland to keep contact with the fleet in order to secure his supplies. His troops were constantly harassed by local horsemen but their advance could not be stopped. Meanwhile, to the west, Thomas Wharton and the Scottish Earl of Lennox, who chose to support the English invasion, invaded with 5000 men in an intended diversion, burning Annan and taking Castlemilk. The Earl of Arran had raised an army which consisted mostly of local pikemen and some Highland archers. He had some guns although these were not mobile enough to be particularly useful, and 2000 cavalry under the Earl of Home, consisting mainly of Borderers, whose loyalty tended to be somewhat fluid. Arran decided to make his stand on the west bank of the River Esk to stop Somerset’s march. His left flank protected his left flank and a boggy area was on his right. The Scots constructed basic fortifications to mount cannon and arquebuses, some of which were pointed into the Forth to keep English ships at bay. Part of Somerset’s army took possession of Fawside Hill to the east of Arran’s position on September 9th and later in the day, occupied the Inveresk Slopes with guns, overlooking the Scottish position. Lord Home, in a dramatic and pointless gesture, led 1500 cavalry towards the English and challenged them. Lord Grey accepted the challenge and led a force of men-at-arms and demi-lancers against the Scots. The Scots were routed and pursued for three miles westwards, depriving Arran of the bulk of his cavalry. During the night further challenges were issued, one from Arran asking that the dispute be settled by single combat between Arran and Somerset and a second for a battle between 20 champions from each side. Somerset rejected both of these anachronistic proposals; he was probably astonished that they had been made at all. 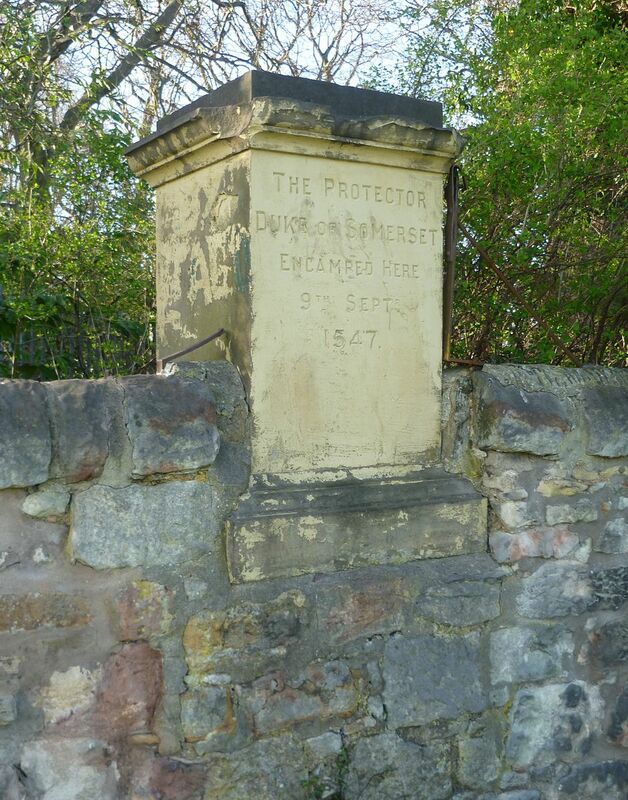 On the morning of Saturday, 10 September, Somerset moved his army to join up with his guns at Inveresk. 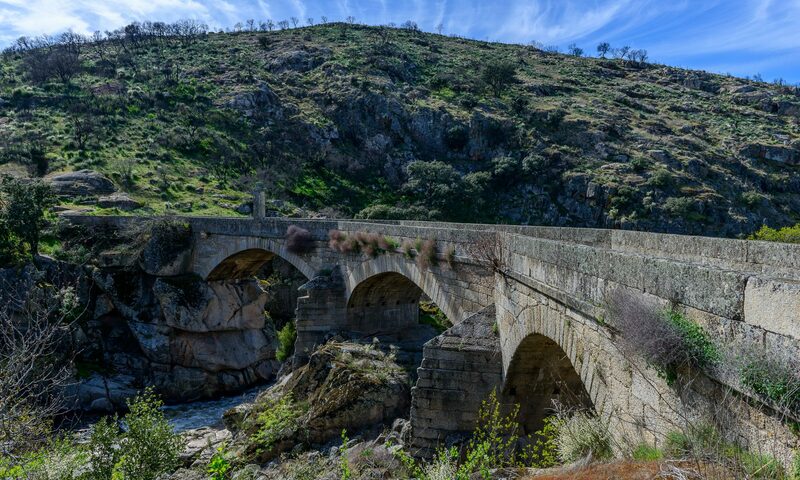 He realised that Arran had moved his army across the Esk by the Roman bridge and was marching rapidly to meet him. Arran knew that he was badly outgunned in terms of artillery and hoped to force close combat before the English guns had time to deploy. Unfortunately, this advance moved him out of the protection of his guns on the Forth and the Scottish left flank was badly mauled by fire from the English warships. Thrown into confusion, Arran’s left wing crashed into his centre while on the other flank, Somerset send in his cavalry. The Scottish pikemen drove them back, inflicting heavy casualties onto the cavalry and Lord Grey was wounded by a pike through his throat. Despite this success, the Scottish advance had faltered and their army was now under heavy fire from the warships as well as English artillery and archers. Unable to stand any longer they broke and ran, just as the English cavalry, which had regrouped, joined the battle, preceded by the English vanguard of 300 men under Sir John Luttrell. The fleeing Scots were chased towards the Esk and into the bogs. Many were drowned or slaughtered while trying to escape and the retreat turned into a bloody rout. The Scottish army was shattered but their government stubbornly refused to come to terms with the English. 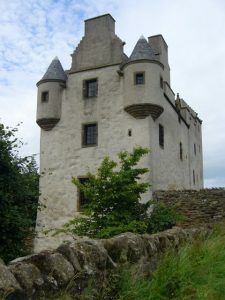 The young Queen was sent into hiding as Somerset occupied Scottish castles and towns along the border and held large swathes of territory in the Borders and Lowlands. Still the war dragged on, costing men and money, and Somerset was distracted by political problems at home. On 7th August, Mary sailed to France from Dumbarton and French troops were beginning to arrive in Scotland to support their allies. The war formally ended with the Treaty of Norham on 10 June 1551 and the last English troops were withdrawn from Scotland. Despite the disaster at Pinkie Cleugh, the English failed to achieve their aims and probably felt that the war had resulted in a waste of men and money. The Franco-Scottish alliance went ahead, and Mary was married to the young Dauphin of France. 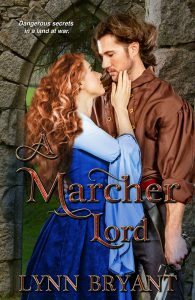 She remained in France until her young husband unexpectedly died in 1560 and suddenly, the marriage of the Scottish queen became, once again, a matter of interest to England, now under the very different rule of her cousin Elizabeth. While the battle’s political consequences were slight, military historians have given it a greater significance as what may be seen as the first ‘modern’ battle on British soil, an idea explored in more detail in this article by Gervase Phillips originally published in Military History magazine in 1997.